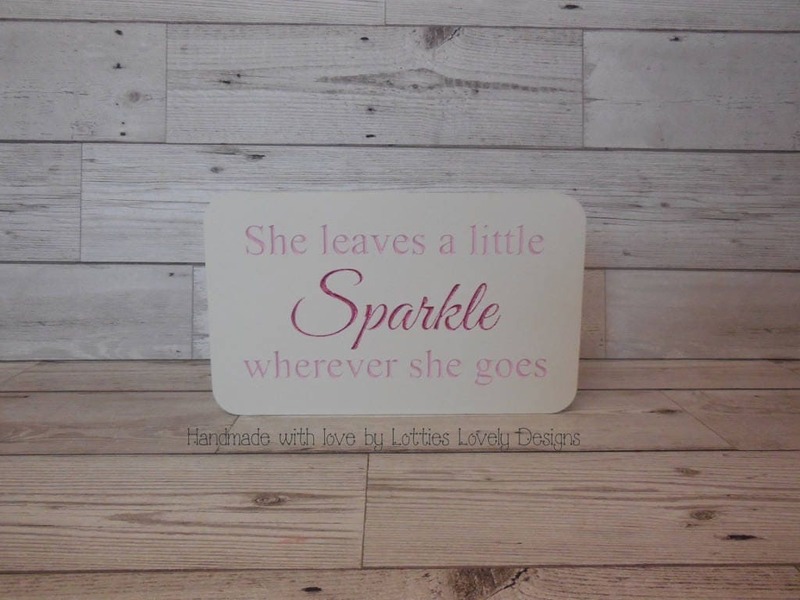 This lovely worded quote plaque is made from freestanding 18mm MDF engraved & hand painted with the wording picked out in a pink paint to show the lovely quote with some added glitter in the word sparkle. Would make a lovely gift to parents to be at a baby shower or after the arrival of a baby or maybe even Mother's day or birthday gift. I have painted this in a cream base with pink for the writing however you could have this painted in any colour. If you do wish to have a different colour please use the message function at check out.